The frame on a sofa bed can become damaged from use. This is a guide about repairing a sofa bed frame. Our sofa-bed is stuck. We think the frame may be bent. We are not sure why it won't open out or close now. Look for an obstruction of some kind. 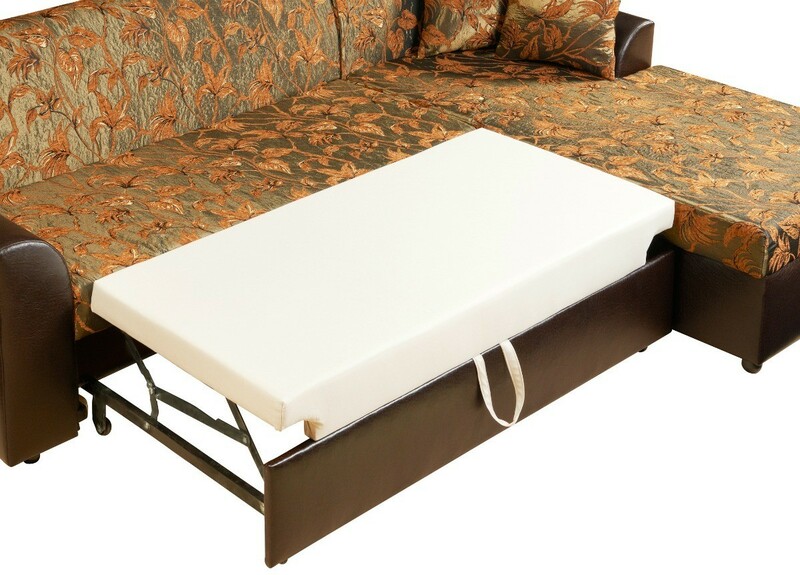 Objects can get through the cushions of your sofa and into the internal mechanism of the bed frame. Is it locked? Some manufacturers put a locking mechanism on the sofa bed. If this lock is engaged you will not be able to open the sofa bed. 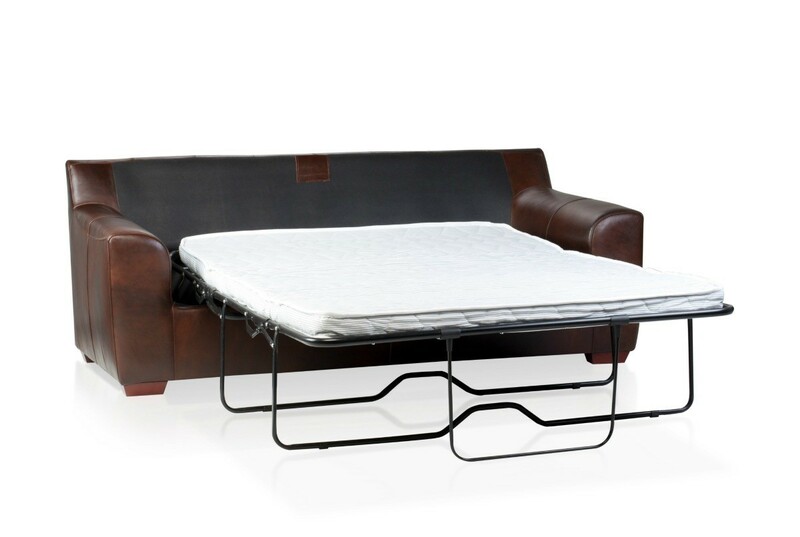 Contact your sofa bed's manufacturer if you are not sure whether the bed is locked and to find out how to unlock it. It may be rusted or not used in awhile. Put some metal lubricant on the joints. See if your local furniture store has a repair service. Ours has a guy who does home visits to give estimates. 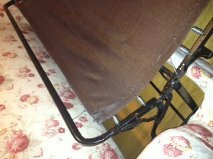 The wire "springs" on my hide a bed re worn out and it sleeps like a hammock making it a back breaker. Can we replace or repair? We need this for visitors. The couch itself is in great shape so, what next? Recently, I had a rivet break on one of the joints that puts the top of the bed up into the couch. Any suggestions on how to replace/fix it? I have a bent frame on my sleeper sofa. I need to have it repaired in home, who will fix it for me? It is a leather couch with the frame bent at the foot of bed. Depending upon how & where the bend is, you can probably straighten it out yourself by very gently hammering the frame straight. Or perhaps you can find a general handyman to do it. If the frame is broken - then it becomes a whole other repair matter. The recommendation to first bend with leverage, then hammer if necessary, is right on the money! I just completed this repair, with a hammer, and my couch folds away like new. Make sure there are no other encumbrances (my couch has a metal brace which was interfering with the folding process) which might be contributing to your challenge. Where can I find sofa bed frame for a pull out sofa bed? Your best bet would be to go the futon sofa route - which is a sofa frame of wood/metal with a pad that folds out - that's the usual route nowadays. Otherwise look for a used sofa bed to redo- but they get cranky with old age - so, beware. Wish you lived close to me. We're buying a new sofa and our old one is a sleeper sofa--was only used a couple of times and the pull out is like new. Try www.americanhotel.com, they should have one. 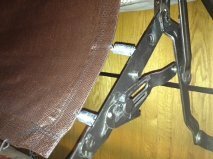 One of the straps has broken on my sofa bed; how can I fix this? My cushions rise after closing. Is one of my bar frames bent? How do I solve this problem? I think she's saying that after the sofa bed is closed, the cushions on the sofa itself are raised and not lying down flat like they're supposed to be. The TV headrest on my sofa bed either stays all the way up so you can comfortably watch TV or falls all the way down so it can fold up. I know there is probably something I need to do to get it to stay flat. I just can't figure out what it is. Thanks in advance for your help! Just pull the bar up as if to make it higher...it should then release to the down possition... similar to folding the old lawn chairs. 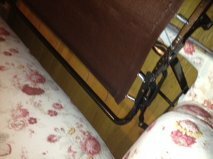 How can I get the metal foot bar under my sofa bed mattress repaired or replaced? It is broken in half. You didn't specify which part is broken, but it happened to me and what I did was to unscrew the leg off the frame, got a piece of sturdy wood(about 2inches square) which measured exactly the height of the original leg and screwedit securely to a metal plate.then the plate was screwed on the underside of the sofabed where the original leg was. you cant move the sofabed around too much but at least it can be used. It might be possible to weld it, if it can be easily removed and taken to a welder. My ex was a welder and could repair many things. However, some metals are too light to weld, in which case it may need to be replaced. I would like to know who to contact about getting a new metal bed frame for my sofa bed. I have a very expensive Slumberland Volterra sofa bed that is under two years old and the support beam at the head end of the bed frame has bent. It is aluminum I believe. I have contacted the company I purchased the bed from have been told its out of warranty. Slumberland has also been taken over by another company. That company no longer makes the Volterra sofa bed because the frame, which used to be purchased from Italy, are too expensive. Can you let me know where I could go to have the frame repaired. This was such an expensive item to be replaced. Many thanks. The only idea I can come up with which I would check out if it were me is to inquire over the phone to a body shop (car repair) and see if they could somehow get it back into shape. Also, try a welder shop as they might have a way/means to make it serviceable and either might do the work as a side job and if a computer is available, you could send them a picture of the bent frame before taking it to the shop. I don't think you can weld aluminum, but as I stated earlier, they might have some tool that could shape the frame back into place. You may need to ask a few of these businesses before getting someone who doesn't mind putting in some time to repair something not in their line of work. Also, if you feel like you have a bit of know how with a hammer, you might place the bent frame on top of something very solid and pound the dent back down as much as you can. My husband has straightened out things that way and it was as good as new. We have a machine shop that does small jobs. If you take the part to a shop, they could make a new part, possibly out of better material where it would not bend. I need advice on repairing a sofa sleeper. what part of it? the fabric? the frame?? I have a Simmons sofa sleeper and one day I was sitting on the couch and that side started falling in. Only that one side, but it was a bracket I guess that was holding it up had broken off. So I guess I want to know if it can be fixed? I have a queen size sofa bed that is in excellent condition, except for the webbing that supports the mattress. Is there a replacement for that? I don't have an answer but I have the same problem. The mattress isn't being properly supported because of the sagging webbing underneath. Repair would be great cause there is nothing else wrong with the sofa bed. I need help. We have a sleeper sofa that is in perfect condition. Unfortunately the sofa bed frame bar on the left side is slightly bent and is impossible to open and close with any ease. The store where we purchased it has closed. Anyone have any suggestions? How can I reattach the sofa bed to the frame? It is a Sofa Express product and they went out of business. Please help. Find out how it was originally attached. If it is a matter of screws through a metal frame into a wooden "box spring" you can fortify the whole and screw it back in. If it is metal on metal with broken rivets just rerivet or use nuts and bolts. Your best bet is to figure out exactly how it had been attached. Take some digital pictures of it that you can print out or just show on the camera. Go to a Home Depot or a Lowes and talk to some of the people there. There is usually one or two handy/creative workers in each store that could give you some ideas but they really need to know what you are working with. Hence the pictures. Take many at different angles to answer all the questions they might have that you wouldn't remember the answer to. What do you call the mattress supports that hold the mattress on the sofa bed frame when it is pulled out? They keep the mattress in place on the frame, usually at the foot. Does any one know where they can be purchased? Thank you. We have recently bought a second hand Cambridge 3 seater Chesterfield sofa bed, only to discover the mechanism on one side is broken making it very difficult to open and close. It has damaged the actual sofa. It is soldered and I wondered if we can replace the whole thing? Sometimes the frame for your sofa bed becomes damaged beyond repair. Finding a new replacement frame can be a challenge. This is a guide about sofa bed frame replacement. I'm requesting any solutions or repair for a sofa bed frame which is bent and can be hardly pushed back inside the sofa. The bar in the middle is totally bent as well as the springs. Can this frame be replaced or how can it be repaired? A rivet came out and the frame may be bent. We need what is probably a minor repair. We cannot close the bed if it is open, nor open it if it is closed. It is queen sized. Please advise. It may be a Castro type mechanism. The company went out of business.